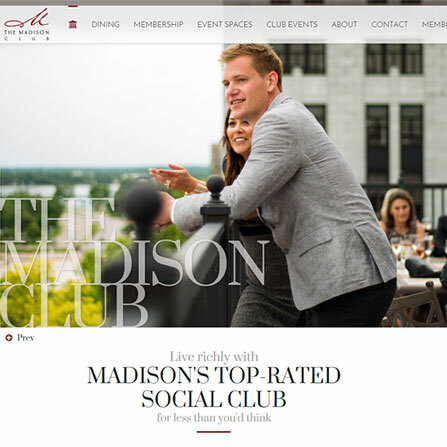 Repeatedly voted Best Restaurant, Best Place for Cocktails, Best Place for Networking, and Best Place for Weddings, the Madison Club required a new website to live up to such high standards. A fresh new design full of huge images tells the story of the Madison Club and also the benefits it has to offer to their members. 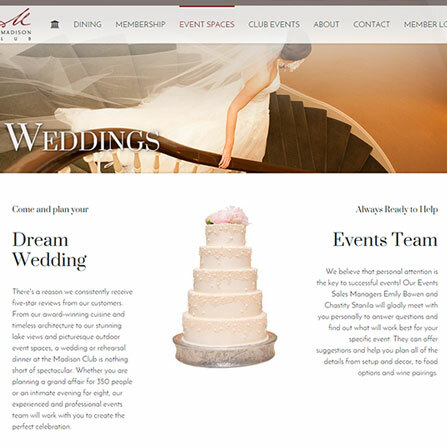 A powerful content management system allows the Madison Club’s staff to easily add new events, update their restaurant menus, add photos to galleries, and much more. 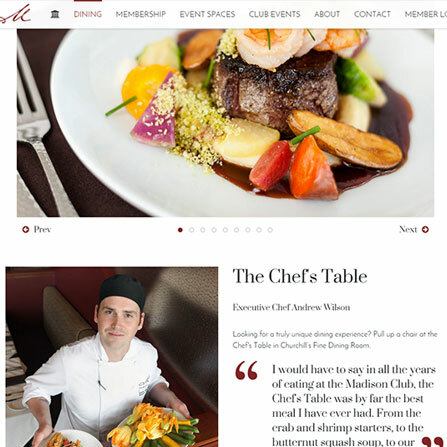 The new Madison Club website is also mobile-friendly; working seamlessly on any desktop, laptop, tablet or smart phone.